I received an invitation from Mayor Paul Tanaka, so my wife and I attended the event. Yes, we enjoyed it very much, as did all the others who attended, judging from the way they acted. The only drawback, I guess, was that I was drawn to the event by the use of “cigar” in the festival title. I thought they would be passing out cigars, but when I asked about getting a stogie or two, I was told I had to buy them. I didn’t mind that until they told me how much I had to pay. The guy at the cigar booth said, “Nine bucks.” Wow. As readers know, I pick up my cigars at the Indian Cigar Store in Las Vegas. The cost there? Two bucks per cigar. So, I usually buy two boxes of stogies, each containing 25 cigars, which comes to about $50. If I bought a box at the Gardena event, it would have cost me over 200 bucks, so I pulled out my Vegas cigar and lit up at the Gardena event. Oh well, since I enjoyed myself I guess I shouldn’t be yakking about the price of cigars. Like everyone else who owns cell phones, I carry mine with me all the time. Well, at the Gardena event I reached into my cell phone holder to call my home phone to see if I had a message or two. To my shock, my phone holder was empty. Did I leave my cell phone at home? I told my wife to use her cell and call my number. To my surprise, someone answered her call. I told her, “Yes,” and she said, “Come over to the parking lot and show me an ID and I’ll give you the phone.” So, I met her and sure enough, she had my phone. I was relieved. Don’t know what would have happened if someone other than the parking lot employee had found the phone. I’m curious how many people do lose their cell phones and are lucky enough to retrieve them. One thing for sure. I’m going to get another cell phone holder that won’t drop the phone so easily. After this experience, I concluded paying nine bucks for a cigar isn’t really that bad. It’s a lot cheaper than having to buy a new cell phone. Yes, the hospital where I stayed four days after falling gave me a walker with wheels on it. The doctor told me, “Be sure to use it until you get your balance back.” I brought the walker home with me, but I haven’t used it. I’m still relying on crutches, so you won’t see me waddling down First Street in J-Town using a walker with wheels. Hey, I’m not that old yet, I don’t think. I don’t know if I mentioned it, but injuring a leg really doesn’t interfere with my driving. I still drive my wife when she goes shopping. I intend to drive on our next trip to Las Vegas, although my wife is against such an idea. I told her driving a car doesn’t require that much skill. Well, if you readers see a column with a Vegas dateline, you’ll know I made it. I figure that we’ll leave on Sunday and head back to Gardena on Wednesday, a three-day stay. That is, unless I lose my “okole” in two days. In that case, I’ll cut my visit to two days. Yes, in past years, my wife used to drive about two hours while I took a nap in the back seat, and she says she can still do it. I just heard that English Section Editor Gwen is planning another trip to Hawaii in about two weeks. Good for her. When I heard of her trip, I checked my records and found that I haven’t been to the Islands in over five years. Maybe I’d better start planning a trip because the Islands are my favorite place to visit. Speaking of Hawaii, we all know that one of the favorite foods in the Islands is Spam. According to The Korea Times, in Korea, they even give Spam as gifts. Walk into any market and one will find ample shelf space reserved for Spam. However, if one is expecting to find the iconic blue and yellow cans to be as cheap as they are in the U.S., think again. A can of Spam costs upwards of $6.10. A Korean office worker in Seoul in his 30s, identified as “Tony,” said Spam is convenient and goes with other staples such as rice, gim (dried seaweed strips) and kimchi. He usually fries it just long enough so that it is crispy on the outside, but admitted this isn’t always the case. Spam was created by Hormel Foods in Minnesota in 1937 and was intended as a higher-quality alternative to other canned meats. It didn’t find its niche until World War II, when the product was distributed to U.S. soldiers. The convenient-sized cans made their way to military bases in Asia, and the surplus began trickling to native populations, according to Sylvia Shin, a representative of CJ CheilJedang, which has manufactured and distributed Spam in Korea since the early 1980s. After the war, Spam was smuggled into Korea’s markets along with coffee, gum, chocolate milk and other products. In 1987, CJ Corp. bought the rights from Hormel and began producing its own version of Spam. The Korean product is more expensive than its U.S. counterpart because it uses more “qualified” pork. Shin said the ingredients are slightly different in the Korean product to make it softer and less chewy, which is how it is preferred in there. Restaurants such as the popular Café imA in downtown Seoul serve rice plates with Spam, sausages, cole slaw and sunny-side-up eggs. Noodle restaurants such as Cheiljemyunso serve musubi, a favorite in Hawaii, composed of grilled Spam on a block of rice. Other restaurants serve Spam “deop-bap,” a rice bowl served with stir-fried chunks of Spam. Fans of Spam raised the question of whether its reputation as a “mystery meat” is deserved, comparing its relatively short list of ingredients to those of hot dogs or sausages. In the U.S., classic Spam contains pork, salt, water, modified potato starch, sugar and sodium nitrate. 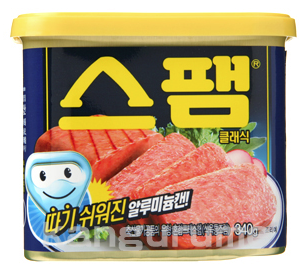 Lee, an office worker in Seoul, said many Koreans have at least a can of Spam in their homes, but limit their intake. “I don’t normally keep it around because I think it is high in sodium. My husband really likes it and I don’t want to encourage him,” she said. When we touch on gambling in casinos, most conclude we are talking about Las Vegas. In my case, that’s probably true, and in Vegas, many of those in the casino are Koreans and Chinese. Well, for those Koreans and Chinese living in Queens, New York, riding casino buses is a way of life. They take buses to the Sands Casino in Bethlehem, Pennsylvania and are considered the mainstay of that casino. The cost of the trip? Would you believe just 15 bucks, which includes meal tickets? Wow! Can you imagine such a package deal for those living in the Los Angeles area going to Vegas? Chun Hae Young is a typical patron on the bus. A Korean, he’s been riding the bus to the casino for 14 years. I know that a lot of buses from Los Angeles to Vegas are packed with Chinese patrons, but I sure don’t think they travel to Vegas for only 15 bucks. 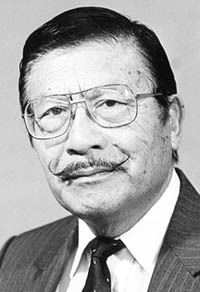 I used to ride a Nisei-operated bus from Gardena to Vegas and I paid 30 bucks. If it were just 15 bucks, I would guess I’d live in the bus. Thank you to this year’s Nisei Week Queen, who thanked me in a letter for my tabbing her as the one to wear the tiara after the judges made their choice. No, I didn’t pick her as the new queen because she represented Gardena, my hometown. She just seemed to have all the qualities of a queen. “1. Coffee — the person upon whom one coughs. “2. Flabbergasted — appalled over how much weight you have gained. “3. Abdicate — to give up all hope of ever having a flat stomach. “4. Esplanade — to attempt an explanation while drunk. “5. Negligent — a condition in which you absentmindedly answer the door in your nightgown. “6. Lymph — to walk with a lisp. “7. Gargoyle — olive-flavored mouthwash. “8. Flatulence — emergency vehicle that picks you up after you are run over by a steamroller. “9. Balderdash — a rapidly receding hairline. “10. Rectitude — the formal, dignified bearing adopted by proctologists. “11. Oyster — a person who sprinkles his conversations with Yiddishisms.